Ground almonds are exactly what they sound like -- almonds that have been ground up. Ground almonds may or may not contain almond skins. 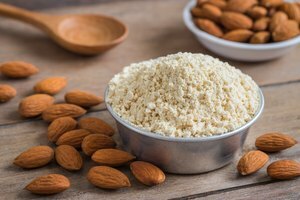 Almond meal is the solid that remains after the commercial extraction of almond oil from the ground nuts, so almond meal contains less oil than ground almonds do. Almond meal, also, contains almond skins, which gives it a course texture. Almond meal has a somewhat rough, dry and gritty texture. Baking with it will result in a product that has a coarser texture, according to the Cook's Thesaurus. Almond meal is a good substitute for flour in baked goods that have a drier consistency, such as wafers and cream puff pastry. Ground almonds contain no gluten. People with a gluten allergy can use almond meal or flour in place of wheat flour for baking. While not having the binding properties of regular flour, ground almonds will add tenderness, moisture and almond flavor. In addition, they are rich in nutrients such as protein, iron, calcium and vitamin E. Almonds are also a good source of fiber, and they are low in carbohydrate and sugar. Ground almonds go stale quickly. The shelf life of ground almonds as well as almond meal is about three months. 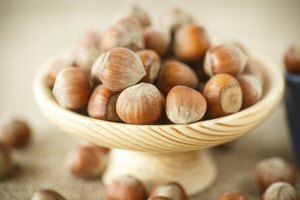 In general, ground nuts should be sealed tightly in plastic for storage in the refrigerator. 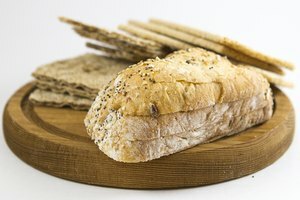 Freezing them will further increase their shelf-life, according to DifferenceBetween.net. 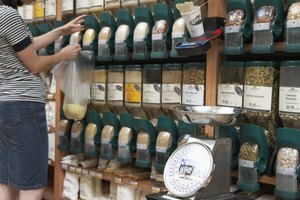 Products made from ground almonds are readily available at food stores and online sources, for people who would rather buy them than make them at home. 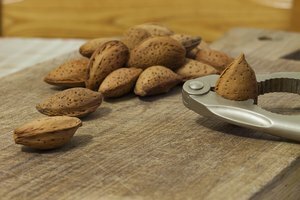 Many people prefer to grind almonds for meal at home with a blender or food processor, since commercial products may contain cheaper extenders. Other ground almond products include flour, butter and paste. The flour consists of almonds ground without their skins. Baking with almond flour results in a finer texture that is also moister and denser than those baked with almond meal. This works for pastries like cookies and cakes. Almond butter and almond paste require more extensive grinding in a blender or food processor. The almonds can also be raw or toasted. Almond paste consists of sweetened almond meal. The paste is an ingredient in batters or pastry fillings.